Postcards from Europe by Rick Steves Rather than being a formal guidebook listing where to eat, what to do, where to stay etc, this is a refreshing at times entertaining collection of experiential stories and people that Rick has met during his travels in Europe. 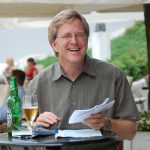 From the “coffee shops” in Amsterdam to the Mediterranean beauty of the Cinque Terre along the Italian Riviera, Steves brings Europe to life. 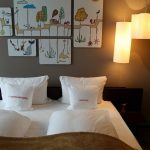 Over 35 years of traveling to Europe helps form the basis for this book. 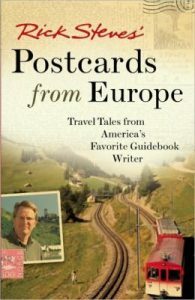 Postcards from Europe covers a number of Western European locations including parts of Germany, Rome, Venice, Paris and the beautiful Gimmelwald in the heart of Switzerland’s alps. A number of color photos hand picked by Rick, date back to his early travels in Europe and are also included.